followed by “La French Week” in cooperation with other French associations. 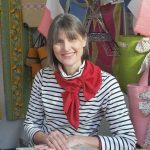 “à la Francaise” as well as strengthens French-Australian cultural and business relationships. 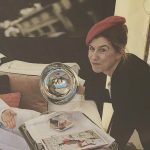 Rendez-vous a South Bank on July 5th, 6th and 7th, 2019. The Embassy of France in Australia is proud to support “Le Festival – Brisbane French Festival”. 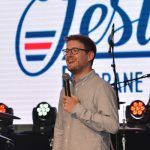 Organised by the vibrant francophone and Francophile community of Brisbane, "Le Festival – Brisbane French Festival continues to thrive and has therefore skillfully imbedded itself as a major event in Brisbane. 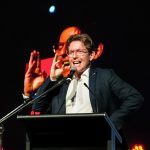 Boasting great success, it highlights not only the strength but outstanding growth of French contributions to the cultural landscape of Queensland. The increase of contributions like these can only reflect the ever-blossoming French-Australian dynamic truly present across all of Australia. I greatly look forward to celebrating Bastille Day in South Bank next July! 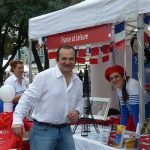 Le Festival has become over the years one of the most essential events in Brisbane to celebrate Bastille Day, showcasing French know-how and its Associations in all their diversity. It has become a link between the French and Australian communities. Congratulations to the organisers and volunteers who contribute fully to this Franco-Australian friendship. Le Festival was such a wonderful week-end. So much happening ! 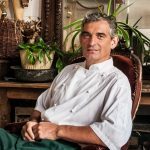 Wine, champagne, cookery courses, great entertainment on the main stage for everyone to enjoy and of course the food with quintessential stalls. What I really enjoyed and made me so proud, was the way people embrace the Francophile atmosphere and just have a great time ! The organization of such an event is not easy but the team behind it does such a fantastic job under the guidance of Betty Moinet making it a must in the calendar. At Le Festival, there is a nice and relaxed atmosphere, the location in South Bank is perfectly chosen, and the program is varied, from master classes to Can Can performances, and much more in between. 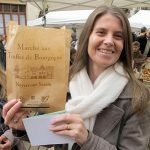 Le Festival offers a lovely immersion into French culture, especially from a culinary point of view with a variety of stalls offering French regional specialties. 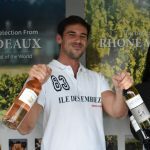 The wine pavilion is also an excellent way to discover or re-discover the big French wine-producing regions. Overall, Le Festival is the ideal place for lovers of France, its culture, and its gastronomy. Thank you again for these lovely moment. Over the past decade, for an eagerly anticipated weekend in July, Southbank’s Cultural Forecourt becomes a little corner of France. Le Festival has become one of the largest and most successful French Festivals in Australia. 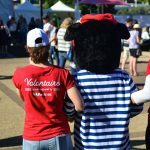 With a fabulous committee, the generous support of sponsors, and the enthusiasm of Francophiles from Brisbane and beyond, Le Festival gives visitors a real French experience in the heart of Brisbane. French Affair has been a part of Le Festival since the very beginning and we are proud to be part of this incredible event. We congratulate Le Festival on 10 magnifique years. The Festival was a terrific event for our business. It was extremely well organised and managed by everyone involved (including all the wonderful volunteers) and we thought the exposure we had during the 2.5 days was well worth the pack up and drive from Melbourne. We’re already looking forward to next year - It has become our favourite Australian festival. Thank you very much to the team. Great organisation & really friendly staff. Loved this atmosphere and will definitely come back! French identity to a very large crowd of enthusiastic francophone and Francophiles. Congratulations for another great edition! Another great French Festival event this year like all the previous ones. 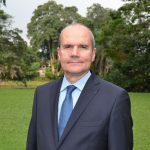 It is very well organised for the exhibitors, well presented and clean for the visitors and relevant to the purpose of the French theme. Volunteering at the French Festival was an amazing experience! I had the chance to be trained to the RSA, serve amazing Champagnes, answer people so curious about the French Culture, share the best of it, meet new people... and all that in a superb location and a fantastic atmosphere: I will be back next year!